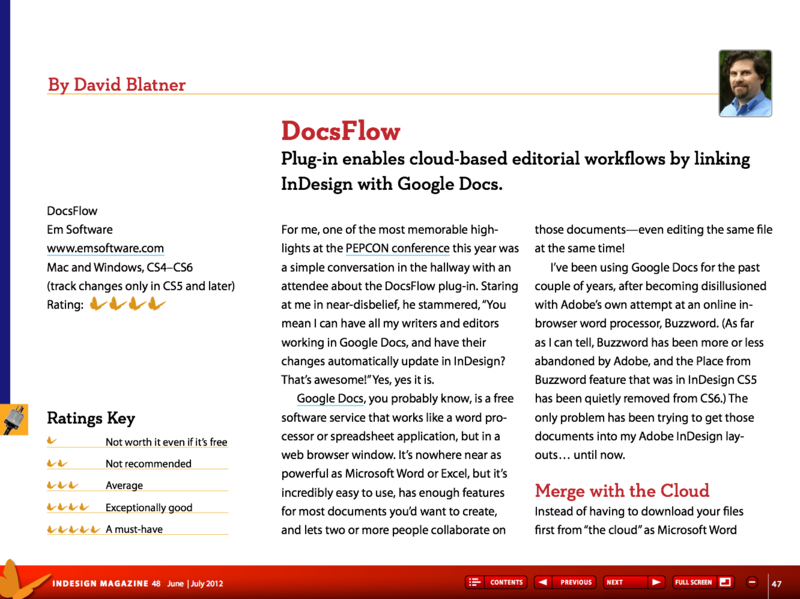 For me, one of the most memorable highlights at the PePcon conference this year was a simple conversation in the hallway with an attendee about the DocsFlow plug-in. Staring at me in near-disbelief, he stammered, “You mean I can have all my writers and editors working in Google Docs, and have their changes automatically update in InDesign? That’s awesome!” Yes, yes it is.